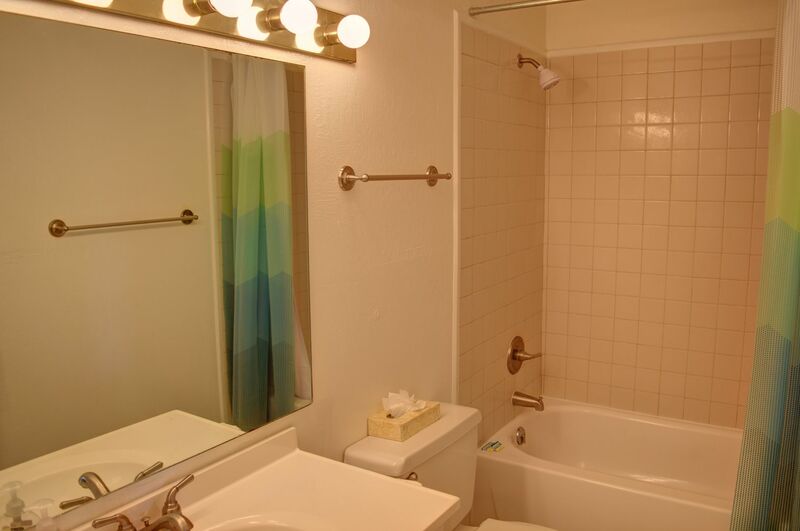 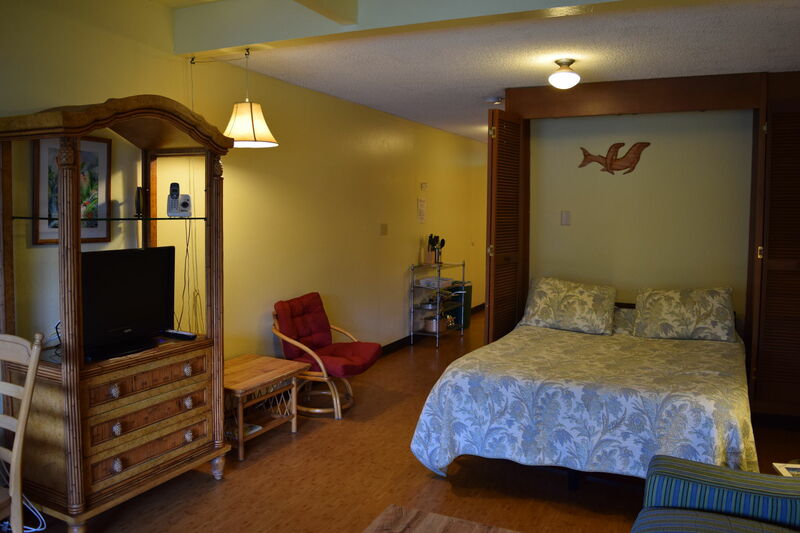 Kihei Bay Surf 117 is an affordable studio located across the street from the ocean. 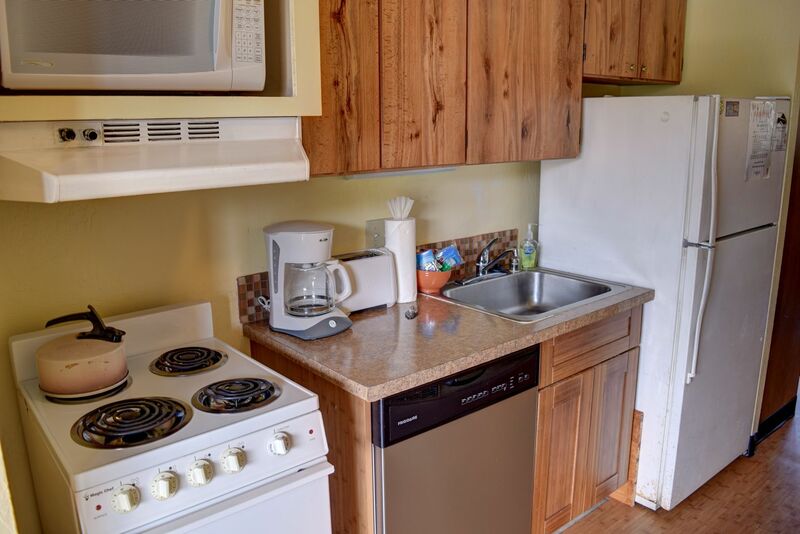 You will love having the convenience of a kitchen while you are on vacation that will allow you to cook your own meals or grab a quick breakfast. 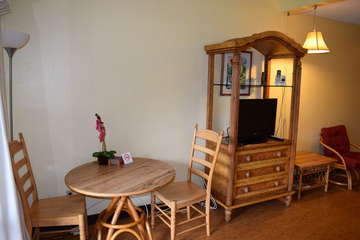 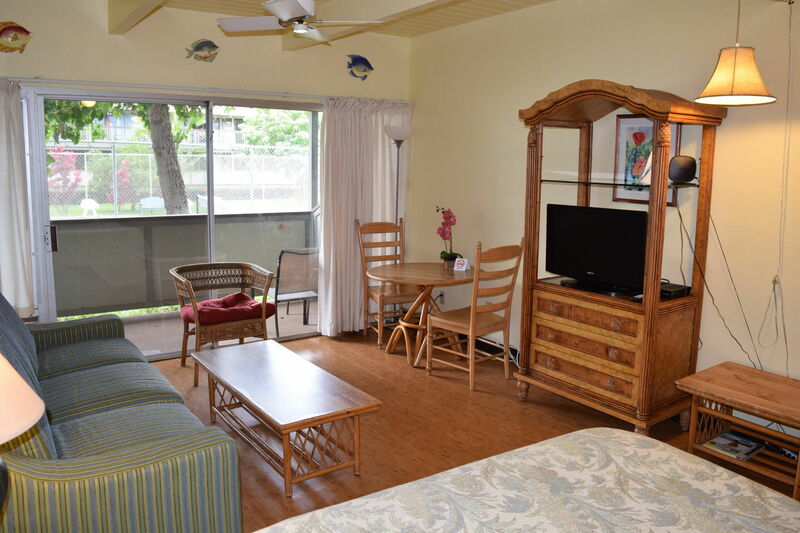 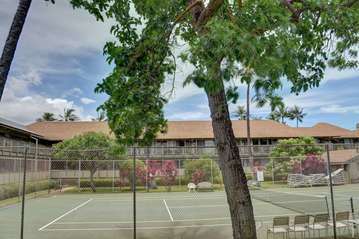 Decorated with traditional style Hawaiian decor and overlooking the tennis courts, this is a great place to stay for your vacation in Maui. 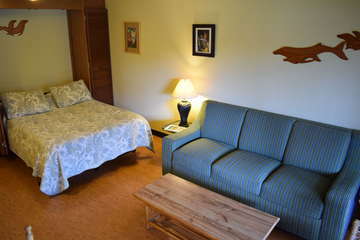 Living Room: Including a pull out Murphy mattress, the living room provides an open living and sleeping space for guests. 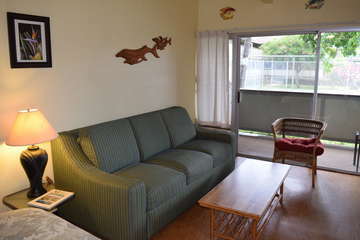 It is connected by large, sliding doors to the outdoor lanai as a convenient breezeway and source of natural light. 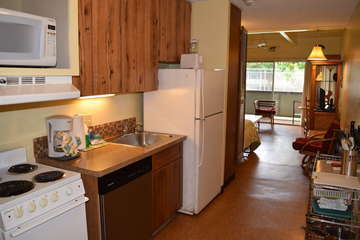 Kitchen: This fully-equipped kitchen has all you need to prepare and enjoy food during your stay on Maui, with plenty of cabinet and refrigerator storage space. 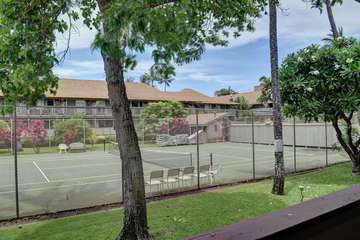 Lanai: This lanai, overlooking the ground's tennis courts and gardens, offers ample space to relax and enjoy the breeze well-known to Kihei's trade winds.